The army said it had retaliated "strongly and effectively" against Pakistani army posts for the attack in the Keri sector in Jammu and Kashmir's Rajouri. Pakistan's BAT troops have been known to intrude into India to target Indian soldiers. Indian Army said it has retaliated "strongly and effectively"
An officer of the Indian Army and three soldiers were killed and their bodies mutilated by Pakistan's Border Action Team or BAT in Jammu and Kashmir's Rajouri district on Saturday, army sources told NDTV. 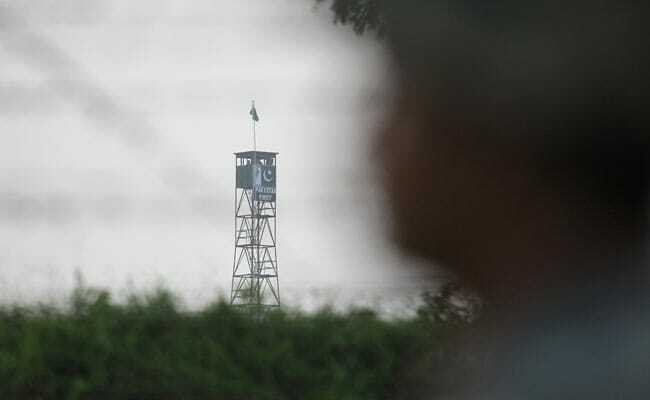 Pakistan troops infiltrated almost 400 metres across the Line of Control to target Indian Army soldiers, sources said. Pakistan Border Action Teams usually comprise members of the special forces of the Pakistan Army and some terrorists. They have known to intrude into India to target Indian soldiers patrolling along the border. 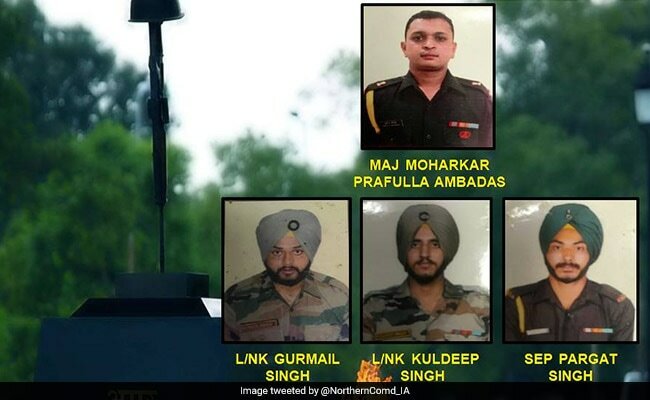 The army has not officially spoken about the BAT strike but it said Major Moharkar Prafulla Ambadas, Lance Naik Gurmail Singh, Lance Naik Kuldeep Singh and Sepoy Pargat Singh were killed in the attack. Another soldier was also wounded and is under medical treatment. The army officer and three soldiers were all in their thirties. The army said it had retaliated "strongly and effectively" against Pakistan army posts. The incident took place around 12:15 pm, news agency PTI said, quoting an officer. Major Ambadas, 32, belonged to the Bhandara district of Maharashtra and is survived by his wife Avoli Moharkar. Lance Naik Gurmail Singh, 34, came from Amritsar in Punjab and is survived by his wife Kuljit Kaur and a daughter. Lance Naik Kuldeep Singh, 30, belonged to Bhatinda in Punjab and is survived by his wife Jaspreet Kaur and two children. Sepoy Pargat Singh, 30, belonged to Karnal in Haryana and is survived by his wife Ramanpreet Kaur and a son. "Major Moharkar Prafulla Ambadas, Lance Naik Gurmail Singh, Lance Naik Kuldeep Singh and Sepoy Pargat Singh were brave and sincere soldiers. The nation will always remain indebted to them for their supreme sacrifice and devotion to duty," the army said in a statement. "Martyrdom of Indian Army soldiers will not go in vain," it added. In April, two soldiers were murdered and mutilated near the Line of Control. It was suspected to be an attack by the Border Action Team. Weeks later, the Army released a video of a massive fire assault on Pakistani posts on May 23. India had thwarted the last such effort in September this year when a large team of BAT soldiers were forced to retreat. In June, India had managed to kill two of the intruders when a similar attack by a much-smaller team was carried out but two Indian soldiers had also lost their lives.